Charts are composed of a hierarchy of elements. 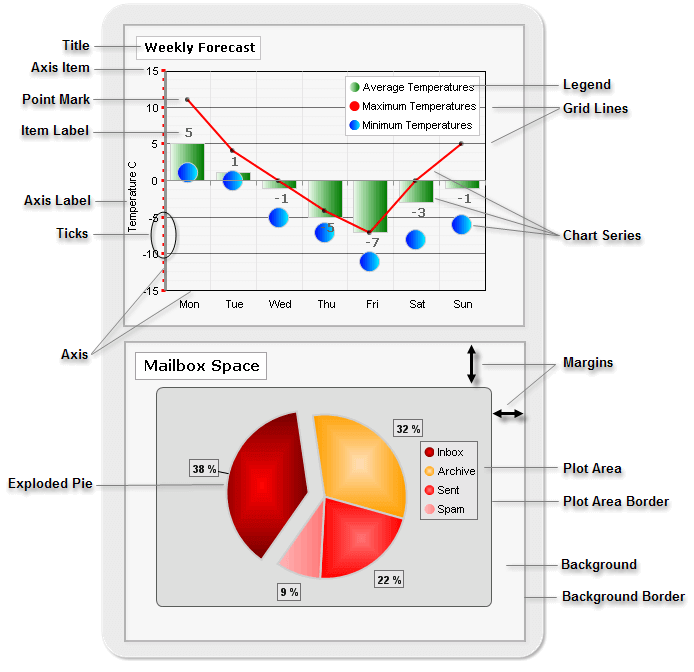 Most of the elements are common across all chart types (unless otherwise noted). The illustration below shows some of the significant chart elements.